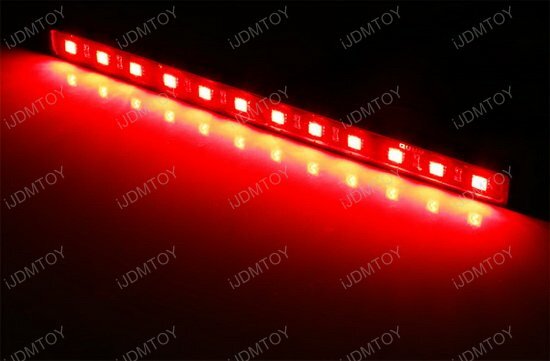 Everyone knows that red is the most eye-catching color and if your goal is to be explosively unique, then this 12-SMD LED lighting bar is the way to make sure that all eyes are on you. 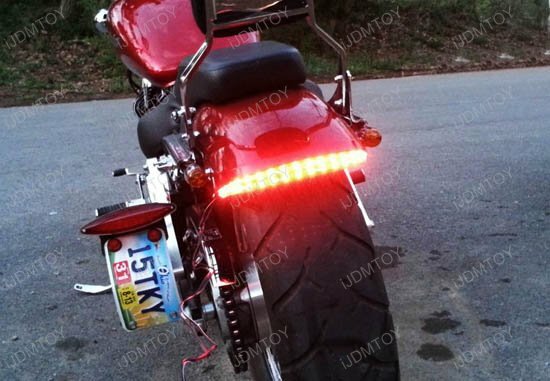 Look at the way the crimson red flashes and dances in the strip. 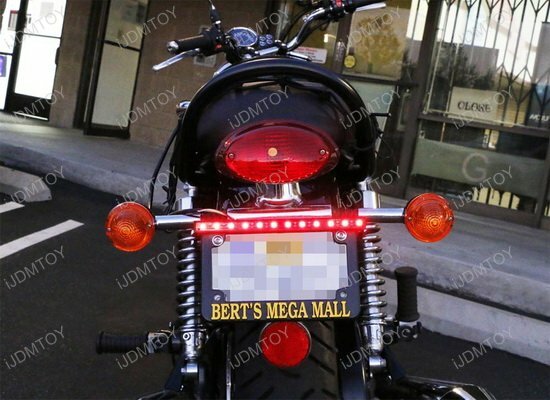 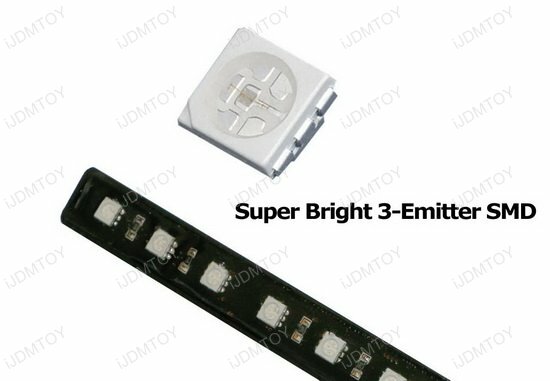 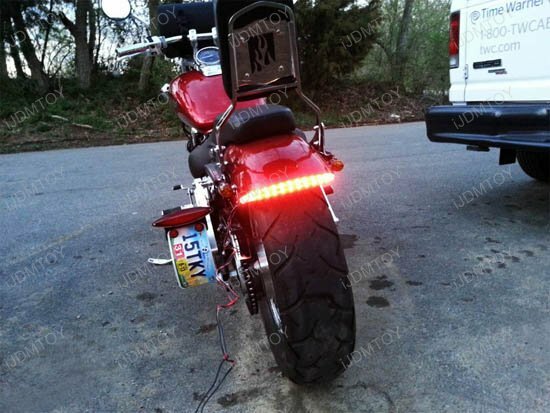 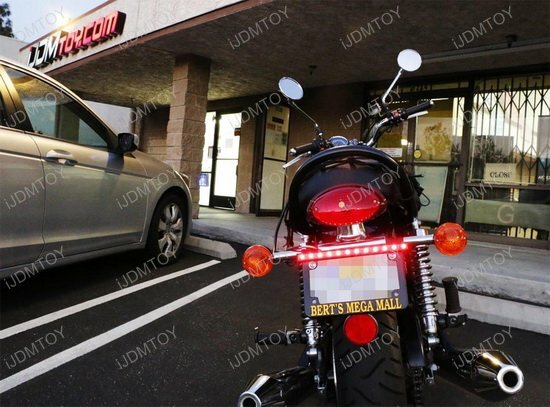 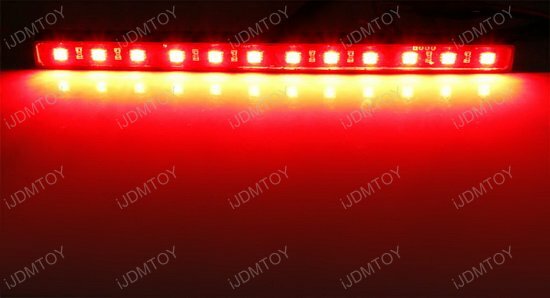 You can use this LED lighting bar for your motorcycle, bike, ATV, and even on your car, SUV, truck, or RV as an extra tail, brake lamp and left/right turn signal lamp. 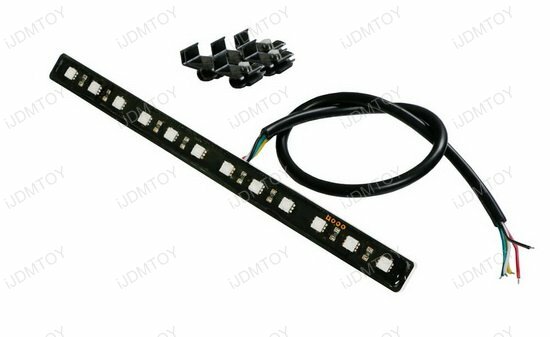 Use the cable ties conveniently provided to mount this LED lighting bar to the license plate frame or anywhere behind the vehicle. 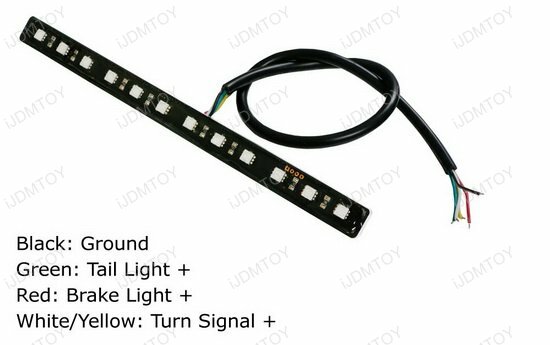 Tap the wires to the existing tail light +, brake light + and left/right turn signal light + and ground to light up this LED bar.